The policy allowing all couples to have two children has been in effect since Jan 1, but the authorities should improve policies related to pregnancy and childcare to raise China's total fertility rate. Since 2000 China has been in the lowest-low fertility rate trap, with the actual fertility rate being less than 1.3. According to the National Bureau of Statistics, the total fertility rate in 2011, 2012 and 2013 was 1.04, 1.26 and 1.23, far below the population replacement rate, which has led to problems such as an aging population, "empty nest" families, gender imbalance and labor shortage. The goal of reforming the reproductive rights policy should be to strengthen families against risks to achieve a moderate fertility rate (total fertility rate between 1.6 and to 2.5). And to promote the new family planning policy, the authorities should devise a new population concept based on population security. If, in the process, there is a baby boom, it will create more advantages than disadvantages, and more opportunities than challenges for the country. 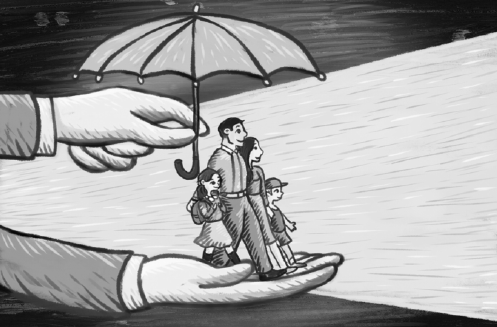 Therefore, China should work out a long-term road map for the family planning policy, not only to allow all couples to have two children, but eventually make couples' wish to have more children a "personal choice". Perhaps this process could start during the 13th Five-Year-Plan (2016-20). The percentage of children in China's total population has been in decline since the 1980s, while that of senior citizens has been increasing. The third national census, held in 1982, showed people aged between 0 and 14 years accounted for 33.6 percent of the total population, while those between 65 and above added up to 4.9 percent. In 2000, the percentages were 22.9 and 7, and in 2010, 16.6 and 8.87. This shows the sustainable development of China's population has been largely undermined. The authorities should improve policies related to pregnancy and childcare to raise China's total fertility rate.